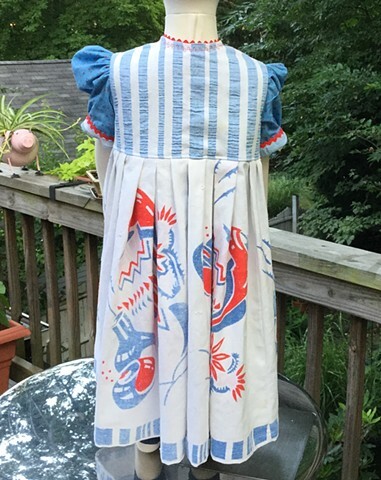 First in the largest size to date (XL - 7-8 years, measuring 26” waist, 28” shoulder to hem, full-skirted play dress made from very vintage tablecloth (probably 50s) with Mexican theme in red, blue and white. 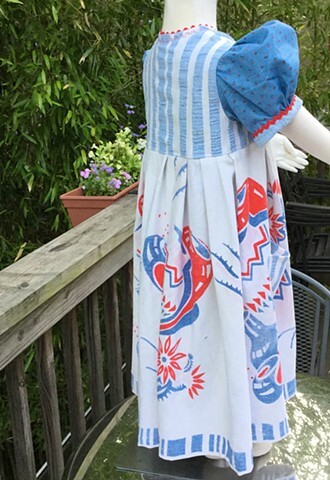 Sleeves and inner bodice lining made with complimentary calico print of tiny rosebuds on blue ground, blue stripe (used to be napkins) on the sleeve edge and pockets. Red rick rack enhances neck and sleeves, along with big red-white-blue buttons. 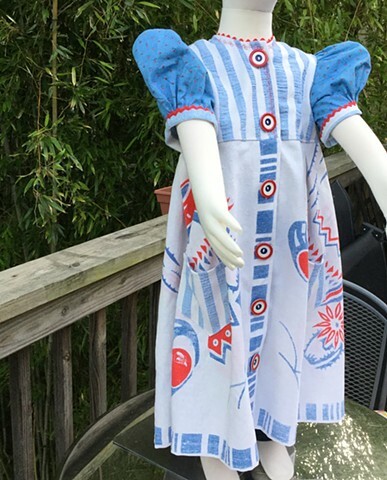 $120, totally washable, made by the designer herself and shipped free to any address in the U.S. #247.